In 2016, Finley Catering added another venue to their collection, this one just outside of Philadelphia. In Newtown Square, the Ellis Preserve is a space for couple’s that may want something outside the busy city. Outside the ballroom, the green expanse creates a beautiful space for outdoor venues. Attached, the ballroom compliments the area with its large Greek-style columns and stone architecture. 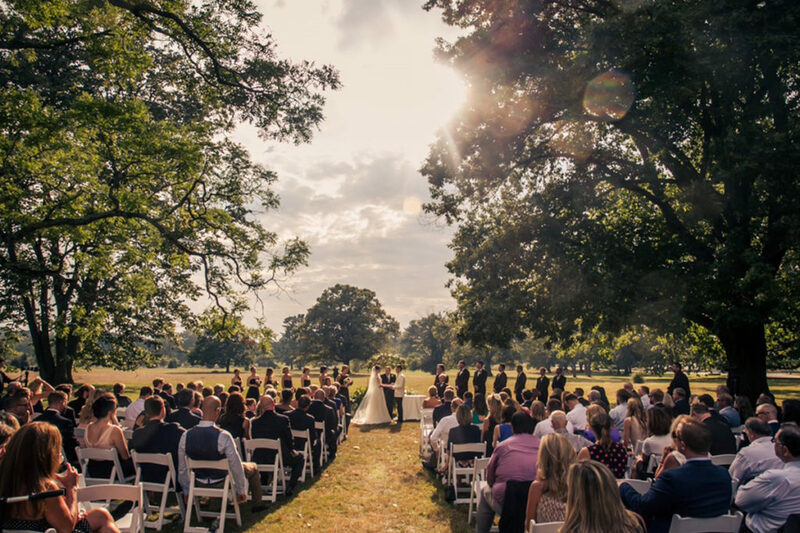 The Ellis Preserve by Finley is a great wedding venue for couple’s that want a breath of fresh air from the city and are looking for a combination of indoor and outdoor venue space. For more information on this venue, head over to their wedding professionals page here.